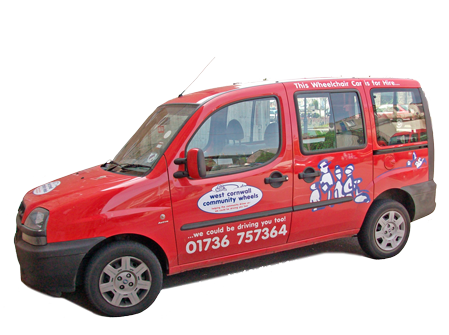 We are still operating our community Group Hire service to Community Groups within the rural West Cornwall area. This means that we are able to provide such services as taking children to school, adults to community group functions and much more. For using it, the cost is invoiced at .48p per mile plus VAT @20%. Upon receiving a request for this service we endeavour to use the nearest available volunteer to keep the cost down to you. Our scheme to date has been very successful and we realise that this is an important service to offer and hope you will support us in using it. We now have several registered volunteer drivers who have joined the team to meet more of the needs in the rural West Cornwall area. You can also have peace of mind because everyone who drives for us has been CRB checked.